KISS bassist and financial mastermind Gene Simmons has built an empire around his band KISS with more than 5000 licensed products on top of running a restaurant chain, movie studio and more. 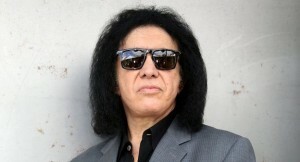 Legendary Gene Simmons is a financial mastermind and has built KISS into an empire not just through music but through merchandise and licensing. Gene never stops with recent ventures into the movie business he truly believes that hard work is the only kind of work. Gene has been inaugurated into the Rock and Roll hall of fame, has a Hollywood walk of fame star and a Forbes Lifetime Achievement Award. He is now worth more than US$300 Million.